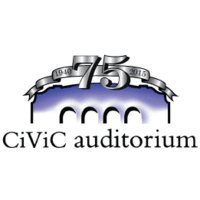 On alternate occasions since opening day, the Civic Auditorium has been a sports arena, theater, concert hall, ice skating rink, town hall, convention center, exhibition hall, dance hall, sound stage, banquet room, ceremonial hall, movie theater, Red Cross shelter, graduation hall and more. Join us for a evening of all Tchaikovsky music capped off by a Spectacular Light Show! In this auditorium there had been many great shows which I have always been there to watch live. These are the most entertaining shows which people from all over the world are there to watch. Those civic auditoriums on the convention center have been organizing the events with the halls of the theater also. For casting on the hall of the solo dancing are https://studentwritingservices.com/essays/#pay-for-essay have been concerned on the red crosses. This is reliable option for those people who are looking for a safe and secure place for organization of event. Hiring of online writers is easy on https://ukessaysreviews.com/britishessaywriter-org-uk-review here for students of others.